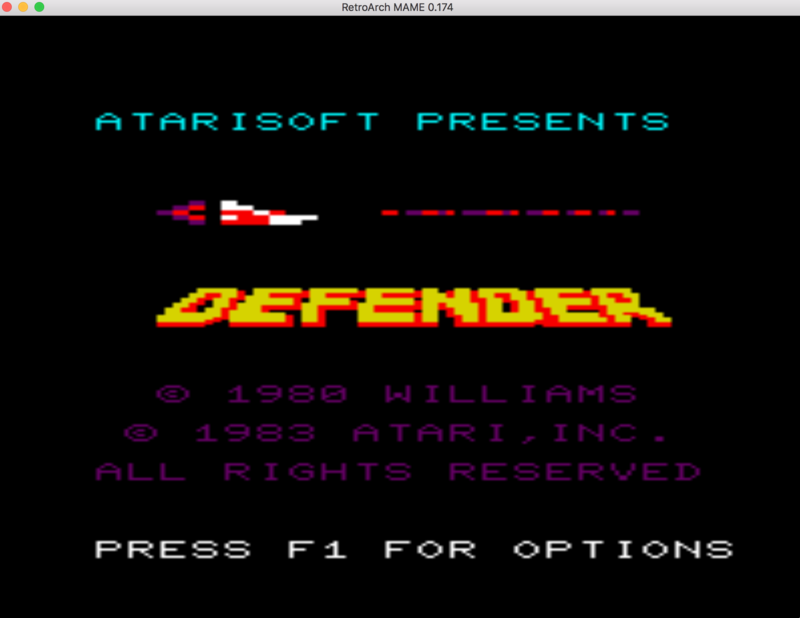 Softlists allow the MAME/MESS core to load the game software based on some information in a “HASH” database. More detailed information can be found here. Suffice to say, it’s complicated. MAME or MESS2014 can be used. Both have varying success at emulating certain systems, so it’s beneficial just to setup both and see which one works the best for you. You can get individual hash files from the MAME github site here. Alternatively, I’ve cloned the folder as of the writing of this guide, you can download all the hash files from here. As an example, I want to play Neo Geo CD games, so I’ll have to donwload the neocd.xml file and place it in my hash folder (or both the MAME and MESS2014 hash folders). 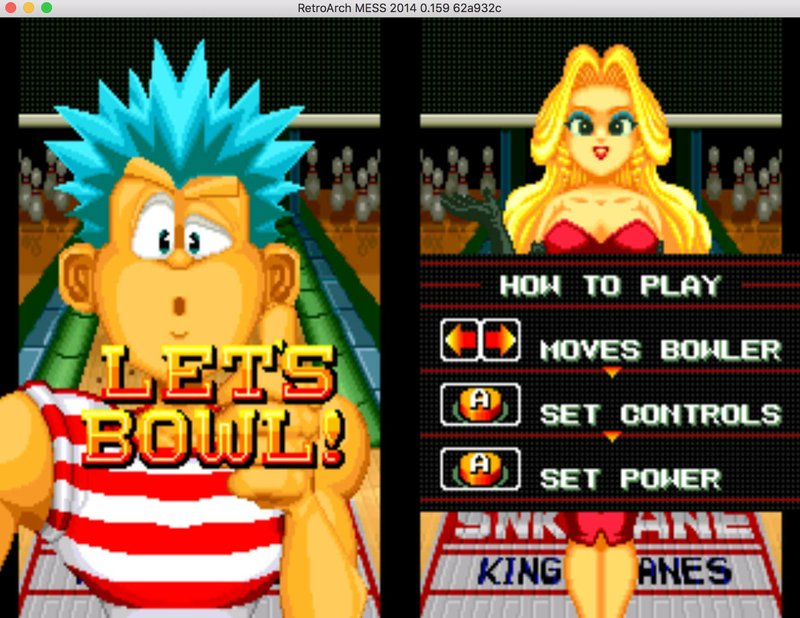 For simplicities sake, I’ve created dummy / empty files for the entire romset for both Neo Geo CD and for Philips CD-i. You can download these dummy files and just place them all in the appropriate folder. Now you can launch the game from Retroarch, by selecting ‘Load Content’ and pointing to the lbowling.zip (empty/dummy) file. Woo hoo! Required files are missing, the system cannot be run. I have found a curious situation. If the computer/console support multiple software lists and there is a rom with the same name in more than one of these multiple software lists, the emulator crashes. Only happens with Retroarch MAME. Thanks for the guide, but it isnt working on my configuration with the cd-i emulation. I get an error that the cdimono1 is not available. When i start mame64 without retroarch within a cmd its working and the game is playable. Folder structure is like described in the tutorial. Did anything changed on retroarch? Your bios file, cdimono1.zip, is either not found/not in the correct place or the version you have isn’t compatible with the retroarch mame / mess core version you’re using. Hi @zachmorris thanks for your reply. Do you know a checksum from a cdimono1 for the newest version of retroarch and mame? so checksum is okay so far. 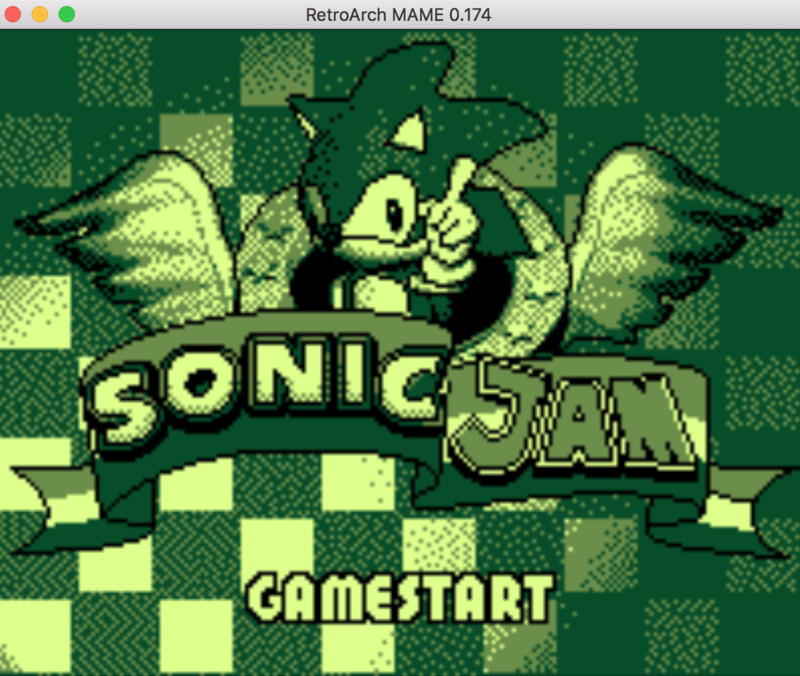 iam using Win10 1803 and Retroarch 1.7.5 with MAME 0.204. 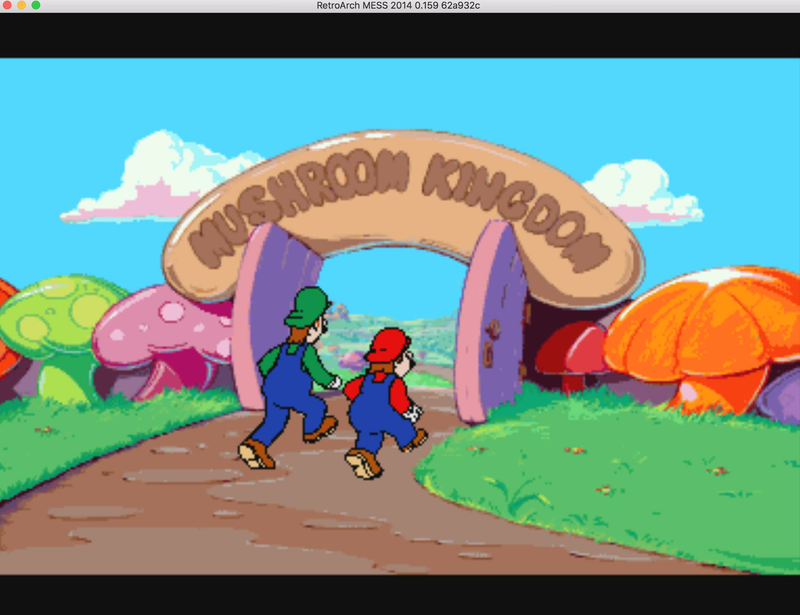 MAME alone works with this cdimono1 file in the same folder structure like in retroarch. Did i need to change something in retroarch? I tried a few CD-I infamous games and so far it’s working great, never tried to play anything non-arcade through MAME until now and your guide helped a lot, clear instructions and easy to understand, thanks a lot for that. The only one not working is Zelda’s Adventure but it’s a common problem apparently, it used to work fine through MESS a good bunch of years ago, but now it’s apparently broken (game freezes when you walk off screen). There’s a specific build of MESS from the time when it was working available called TinyCD-I available so it’s still possible to play it, but I was wondering if somehow, a solution available with Retroarch’s cores selection was found / is possible ? I tried with MAME 2016 / MAME / MESS2014, same problem on all cores. Not that it’s pretty important concerning the “quality” of the game, but if a solution is possible, I’m interested to know. EDIT: “The Apprentice” doesn’t seem to work either, more concerned about this one 'cause it seems to be more than decent and also one of the only really good title not available elsewhere. Thanks for this great guide. This forum need more stuff like this. 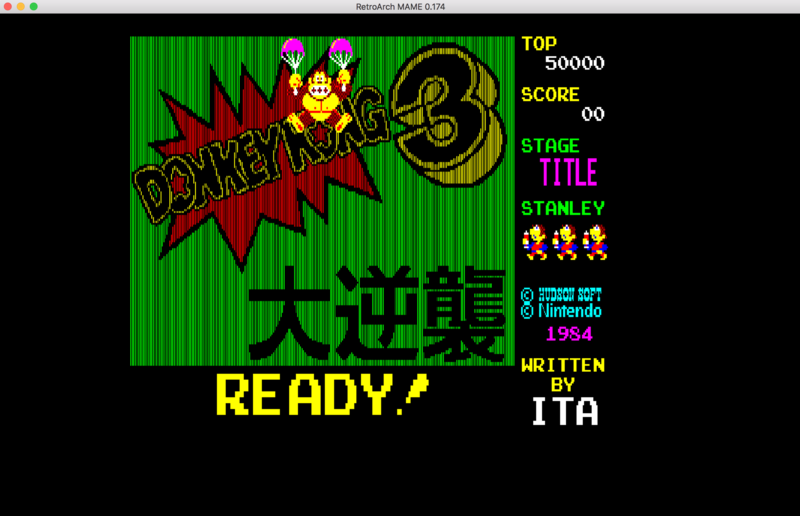 Can I request a post update on how to get the MSX and Amiga running inside MAME? MAME can play MSX and Amiga, but in my opinion, it can’t do either of those as well as other available retroarch cores: BlueMSX or fMSX for MSX and uae for Amiga. It would probably be better to make a guide for those. @zachmorris this is great work here. Are you familiar with http://github.com/libretro/docs, which is where a few folks maintain the libretro docs published at http://docs.libretro.com? You have written some useful and comprehensive content here and elsewhere, so I wanted to make sure to invite you to contribute to the docs if you find yourself interested in creating more guides in the future.